It’s easy, it lets you swipe away tasks, and you literally can’t get too detailed while using it. And Clear might just be the thing you need to make knocking out tasks fun again. 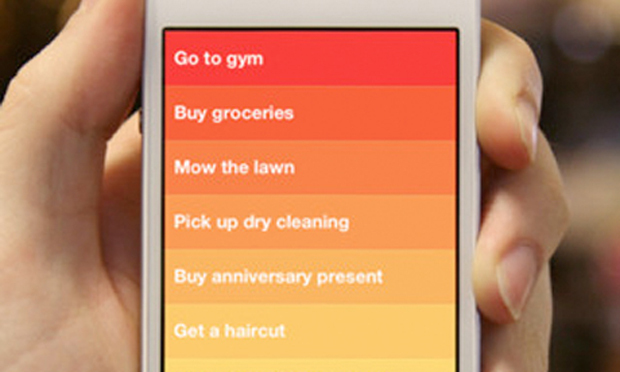 There’s a lot that’s interesting about Clear, an iPhone app that, at its core, makes gradient-colored lists of things. Its design has garnered a lot of kind words. In short, it breaks a whole lot of conventions, and it’s designed from the perspective of swipes, pinches, and pulls–things your fingers instinctively know how to perform on a glass surface. But there’s something more interesting about Clear, once you get past how you use it, and that’s what you would use it for. For the past decade, and likely before that, the predominant jumping-off point for thinking about how people who work with distracting computers all day can track what they need to do has been Getting Things Done, often noted as simply GTD. David Allen’s system is centered around getting tasks written down, with proper context and step-by-step conception, so they aren’t in your head. It’s popular with technical-minded types, and, unsurprisingly, there’s a huge number of apps made by technical types that implement many of these ideas, with a huge variety of themes, interfaces, syncing features, keyboard shortcuts, and other things that make people like me eager to write about them. 2Do, Remember the Milk, Astrid, OmniFocus–the App Store runneth over. But now that we’re all a little more familiar with what it’s like to have constant access to powerful data tools, and to the world at large, some app makers and tweakers have come to take a second look at productivity tools and wonder if it’s all too much. Some early enthusiasts see many modern “life hacks” and productivity tools themselves as distractions, and a counter-trend has been bubbling up in desktop software and mobile app design. Clear, clearly, is part of it. Explained another way, Clear is an app that aims only to, as Fletcher put it, “better pen and paper more than anything else.” He adds: “A page of your notepad doesn’t have a ‘Create New Task’ button–you just start writing.” Paper is often claimed to be the best to-do list medium around, due to its persistence, spatial cues, and its ability to grab your attention. Clear doesn’t offer all that, but it also doesn’t let you hide tasks behind filters or nested trees. Everything in Clear is there, and probably needs to be addressed. Of course, abandoning your current task/ to-do list to try out a hot new minimalist iPhone app is the epitome of pseudo-meta-productivity. How do you know if it’s worth the transition time? 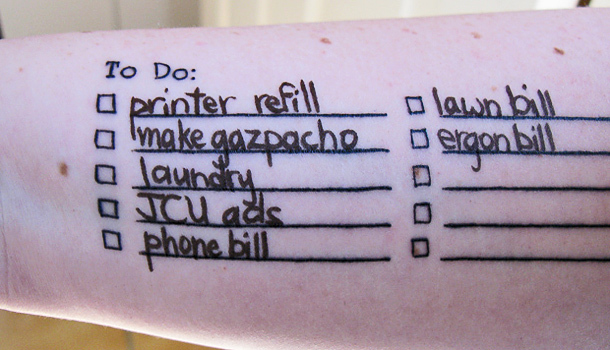 For one thing, if your to-do list looks more like a delusional blue-sky wish list than a holding tank for your daily planner. To-do items have to be clear, concise, and specific to be do-able, and if your items aren’t there, a clean slate with a hard word limit might help. The other way a Clear-like system might help is if your current system feels less like a meaty challenge and more like a whole-grain lentil patty–something that makes you feel like you’re doing the right thing, but isn’t very rewarding. It’s similar to decision fatigue, in which your best behavior short-circuits itself. Labeling all your tasks with the right context (“@email”), project (“+WebRelaunch”), and overly ambitious deadlines helps you know exactly what they require, but can also make them seem imposing, complex, and less fun to strike a line through. Very intentionally, completing a list item in Clear involves flicking it away, not check-marking or labeling it. Fletcher wrote at length about the motivations and ideas that went into designing Clear, but the key mission was two-part simplicity: “We wanted the app to be fun, and above all quick to use.” Whatever your system, if it’s hardly ever those two things, then you’re just cataloging your problems, not creating an itinerary. Follow Kevin Purdy on Twitter, and Fast Company, too.